Strangebeard Vol. 1 on Kickstarter! I've finished the first volume of Strangebeard! 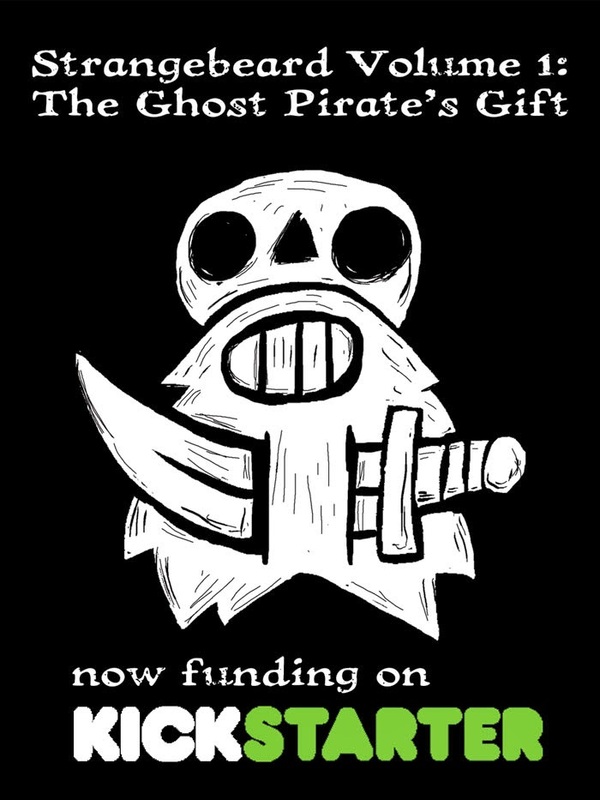 It's called The Ghost Pirate's Gift, and it'll be 114 pages of piratical awesomeness. I've launched a Kickstarter to cover the costs of printing the book, and I'm proud to report that the funding has already reached its minimum! The next challenge is secure stretch goals; we've already passed the $5000 mark which means everyone at the $25+ level gets a bookmark and a die-cut sticker... but at $6000, we can upgrade the book to nicer paper and better stock for the cover! I've also got some pinup artists supplying me with amazing artwork for the book: so far, I've got Riley Rossmo, Mike Rooth, Tom Fowler, Fiona Staples, and Nick Bradshaw announced. I'll announce two more tomorrow (Friday) and a final artist on the weekend. Keep your peepers trained on my Twitter feed for more news. 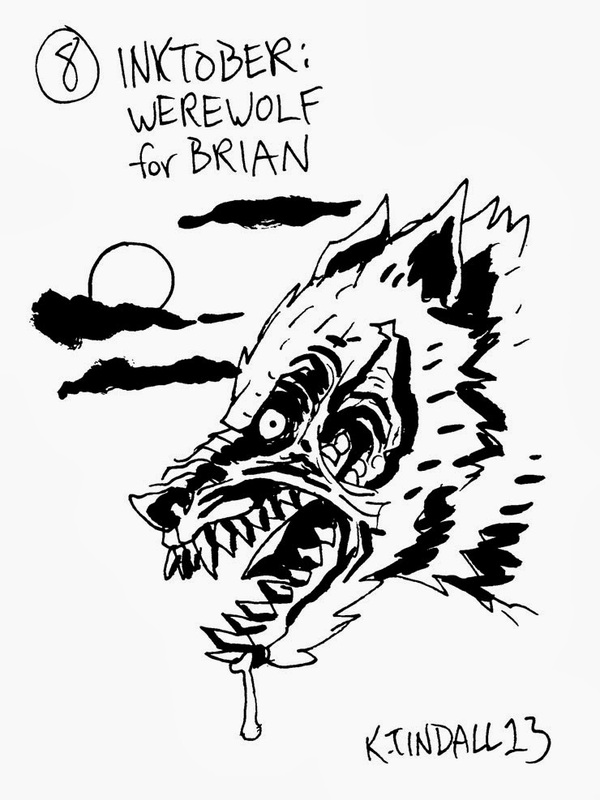 Thanks so much to those of you who've pledged, and for those of you who are planning to. It's been a wild ride so far but I thank you from the bottom of my heart. I've been pals with Josh Stafford, a bigshot at the mighty Mayfair Theatre in Ottawa, for a few years now. 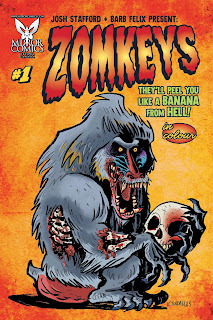 When I heard that he was writing a comic book about zombie monkeys, I was extremely surprised that he didn't ask me to do a pinup or something for it. 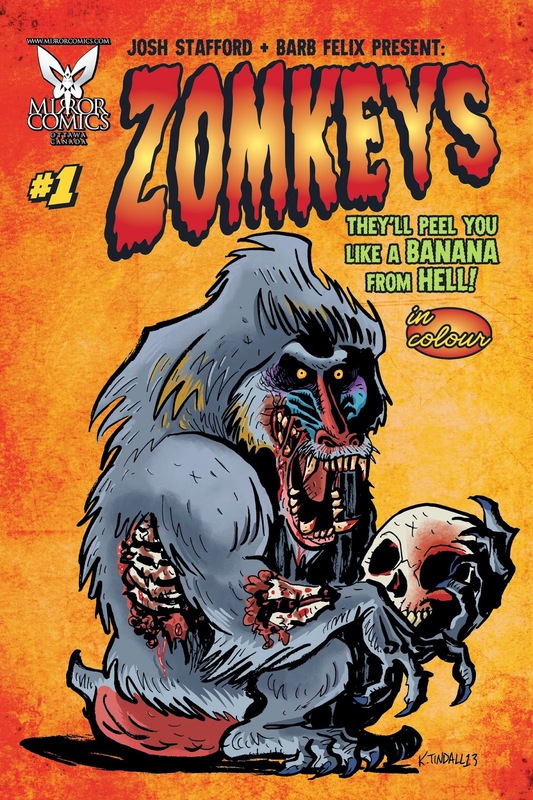 I love zombies (I was nominated for a Ghastly Award for lettering and colouring Rebel Blood). And the next day I got a very nice email from the publisher asking if they could make it the cover of a variant issue! 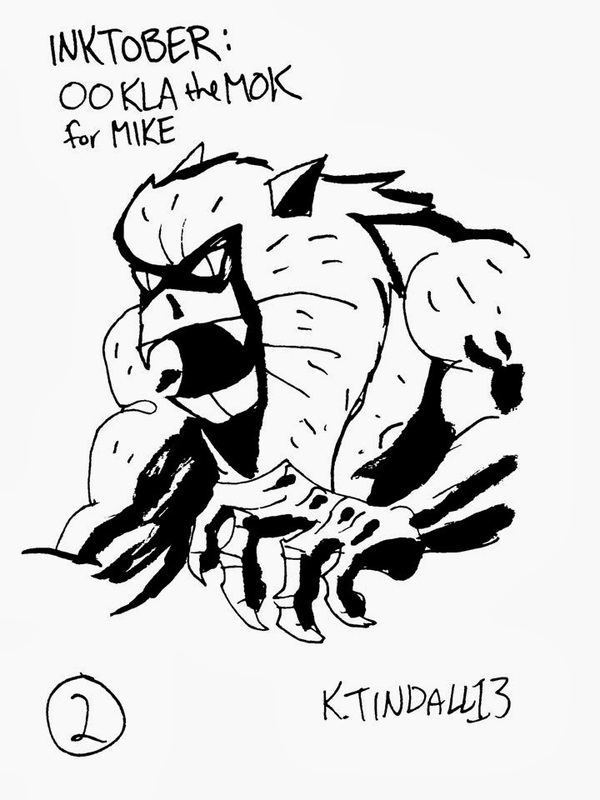 I'll be sure to post in the coming weeks more information about where you can purchase Zomkeys #1. 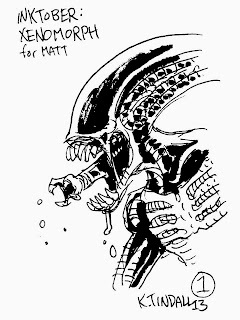 Thanks to Mirror Comics (and, of course, Josh) for the opportunity. 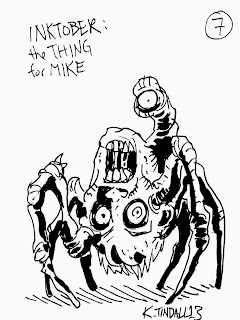 It's Inktober! 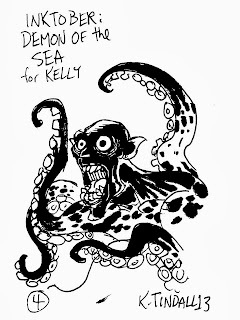 Whereas an artist will create a daily sketch, in ink, and post it to 'the internets' for 'some reason'. 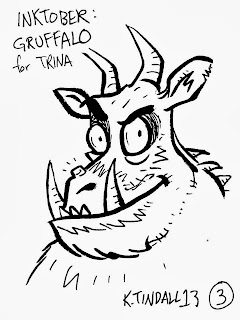 I decided to play the game; every ten days I'll post my sketches here on the sketchblog (to reward those of you who are still checking it out). Otherwise, what am I up to? Well, the third part of Strangebeard, "The First Pirate Master", is nearly complete (with the introduction of Captain Morder, a major villain). My diary webcomic The Adventurers is still truckin' on with new strips every Wednesday and Friday. And I'm, of course, keeping busy with much freelance work. 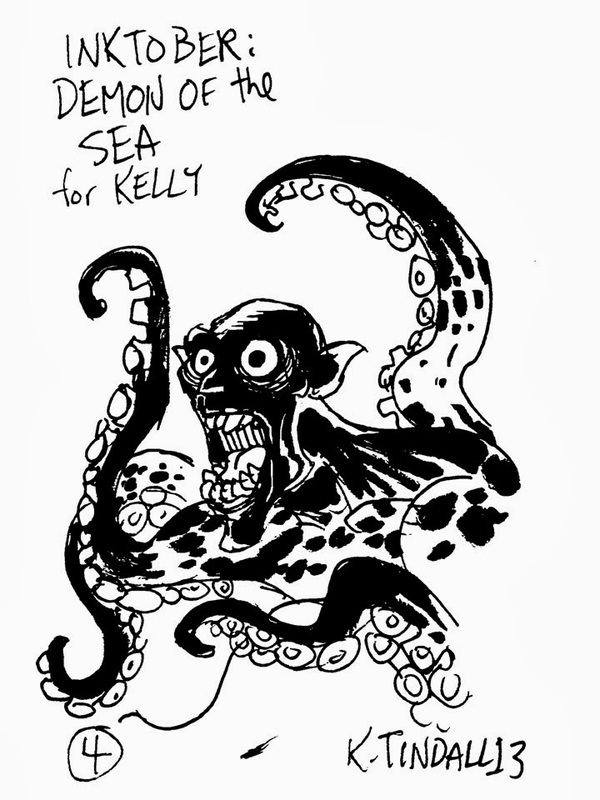 I'm also lettering two Image Comics titles right now (Bedlam and Drumhellar). Hi everyone! 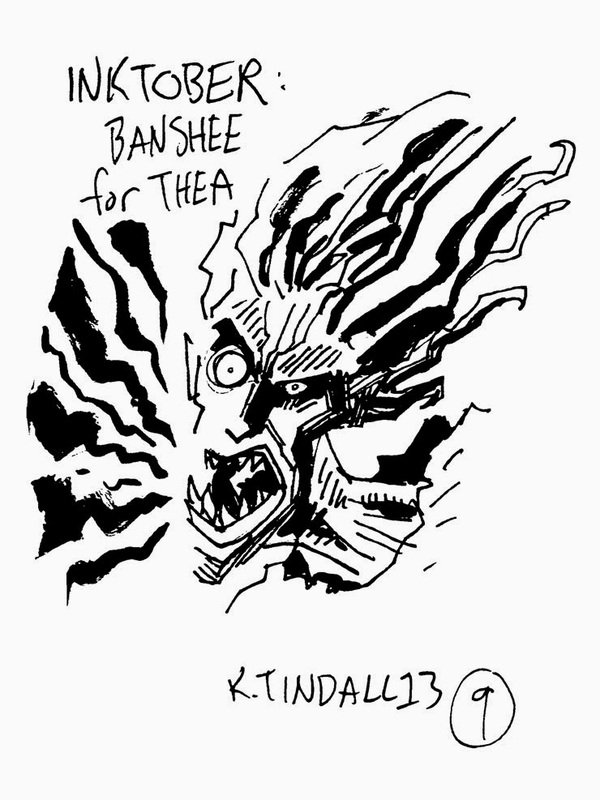 I haven't updated my sketchbook blog much in the last little while because my work has become all-consuming. Along with the usual illustration work, I'm currently lettering a 160-page graphic novel, teaching a comics class, and updating The Adventurers AND Strangebeard twice a week. Speaking of Strangebeard: thank you. Thanks for reading, thanks especially for sharing, and thanks for commenting. My little pirate-comic-that-could is getting thousands of hits and I am grateful for every single one of them. Part 2 has started, and Captain Jenny Strangebeard and her merry crew of rogues and ruffians are about to face bigger (and weirder) adventures. I hope you'll come along for the ride. 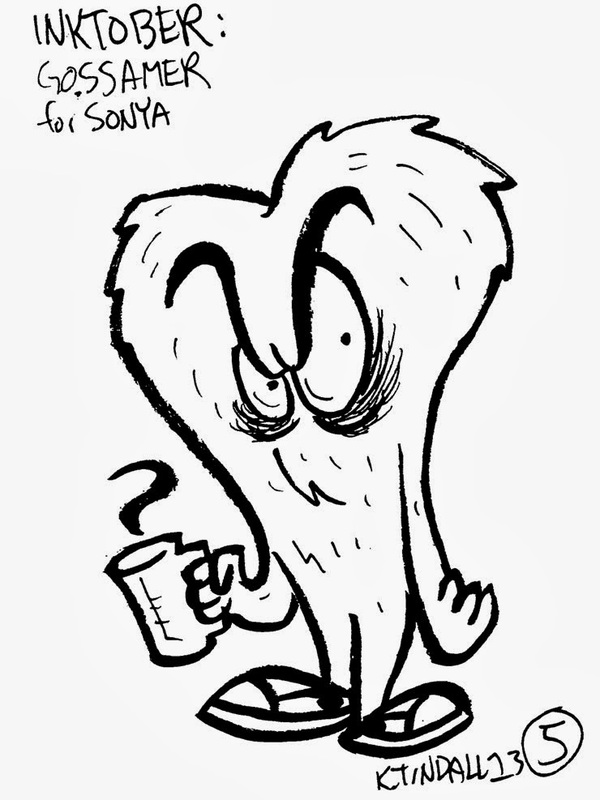 In honor of the completion of "The Girl and The Ghost", here's something from the vaults: the first-ever drawing of Jenny Strangebeard from the original pitch! She hasn't changed too excessively; the colour of her two eyes is different and her general colour scheme is less saturated than it was. Thanks again, everyone! Check out Strangebeard right over here, and come back every Tuesday and Thursday for new pages. It's always gratifying when you find out something you like exists in another version, and that version is better than the one you already love. Such is the case with Disney's DuckTales. DuckTales was a t.v. 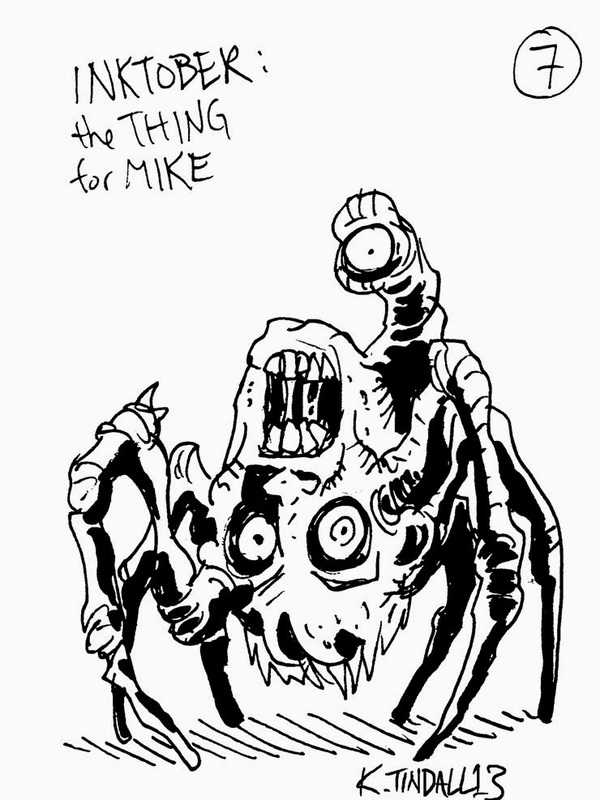 show (much beloved by my generation) that premiered in 1987, running for three years and spawning one theatrically-released motion picture and two Nintendo games. I loved it; I loved the adventure-filled plots, the well-drawn characterization, and the moustache-twirling villains. Most of all, I loved the character of Uncle Scrooge, the world's richest duck and great uncle to the three Duck boys (Huey, Dewey, and Louie). 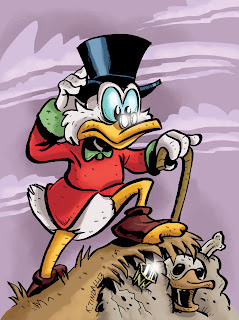 Like a geriatric combo of Indiana Jones and Citizen Kane, Scrooge groused and bare-knuckled his way through the endless bizarre challenges that faced his family, and he always came out on top. 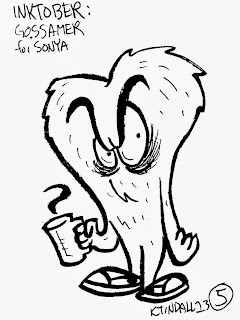 But then the show ended, and Scrooge filed himself away in my subconscious for twenty years (resurfacing briefly in the analogous Phoney Bone, who appeared in Jeff Smith's Bone). Then, out of the blue, a friend recommended Don Rosa's Eisner Award-winning The Life and Times of Scrooge McDuck. Filling in the gaps of how Scrooge came to be the world's richest duck, Rosa used the original Disney stories and created a whole world of adventures for Scrooge as a younger man: he went everywhere from the Wild West to darkest Africa and back again. He was smarter than the smarties and tougher than the toughies, and he made it square. Imagine how pleased I was that there was an even better version of the Scrooge I had grown to love over bowls of cereal at four o'clock every weekday? I devoured Life and Times and Rosa's companion books (and even commissioned a drawing from Rosa himself) and then filed Scrooge back away, a brighter light than I had ever anticipated. And then I found out Scrooge was even better than that! I had always heard amazing things about the late Carl Barks; how he'd become known as the 'good artist' while Disney never credited those who actually drew their comics. How he'd created Scrooge McDuck and others, and how Barks had fleshed out Donald and created the best Duck stories of all time. But actually finding the works, curated in any sort of logical fashion, seemed like heavy lifting that was beyond me at the time. 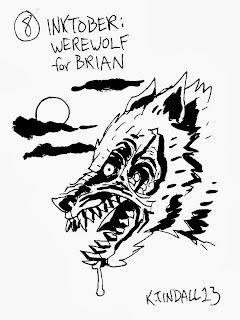 Luckily, Fantagraphics has started reprinting Barks's stories in handsome and affordable hardcovers. I've been able to see, for the first time, what Scrooge was like right out of the gate, and they are some of the best stories I've ever read. Capcom has announced an HD remake of the original Nintendo DuckTales game (which looks pretty good) and that's got me thinking about Scrooge once again. 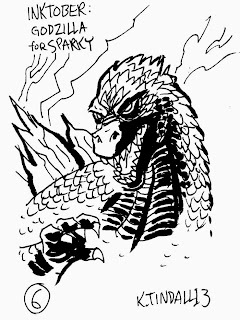 Here's a drawing of one of my all-time favorite comicbook heroes. He's the best. Today's the big day! I've launched Strangebeard, my sophomore webcomic, on its maiden voyage. Strangebeard tells the story of Jenny Brigham, a servant girl living on bustling Crook Island. 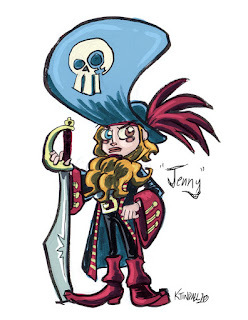 Although she loves her mother and works very hard at the Shivering Timbers Inn, Jenny has always dreamed of a life as a briny outlaw on the high seas. On her twelfth birthday, she'll get her wish. Strangebeard is a project near and dear to my heart. 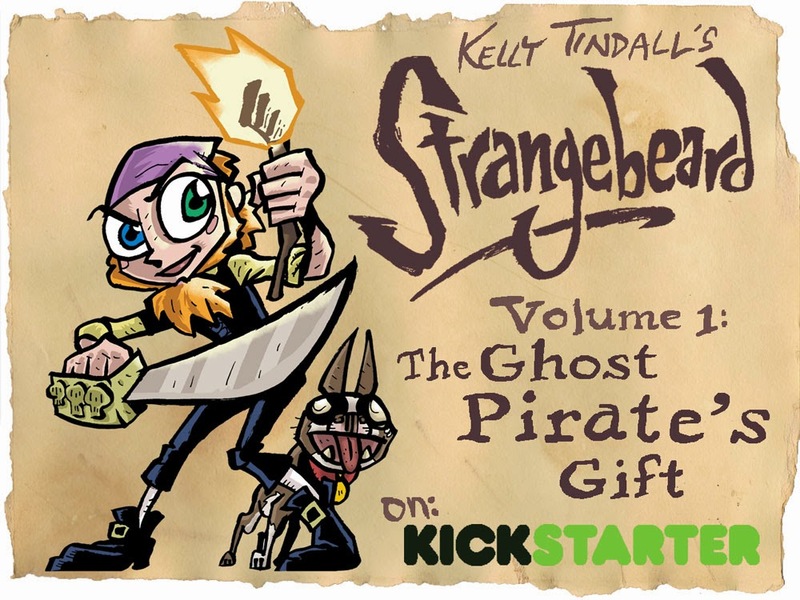 I love all things pirate and Strangebeard has been the most professionally rewarding work of my career. I hope you enjoy it as much as I enjoy working on it. Here is an acrylic painting I finished for my excellent friend Scott Borys. He did some website work for me on That's So Kraven! and he's an all-round great guy. Scott is something of an adventurer; he runs a highly entertaining blog called I Smell Good, which is all about hitchhiking, yoga, and the internet. 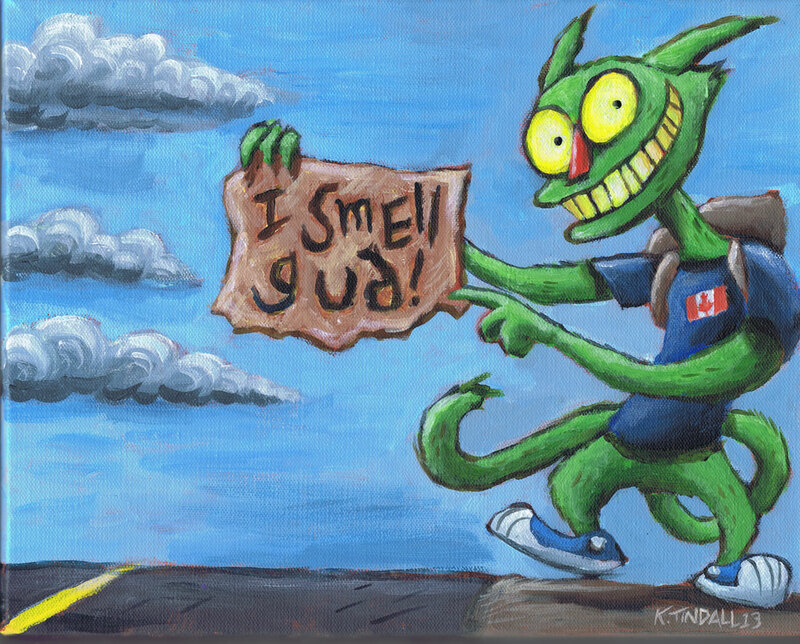 One of his signature moves as a hitchhiker is a sign that says "I Smell Good" (obviously) and that was the starting point for his painting. If you're ever in Saskatoon, I highly recommend sitting down with Scott for a drink and a Western flick. One of my favorite things to do. 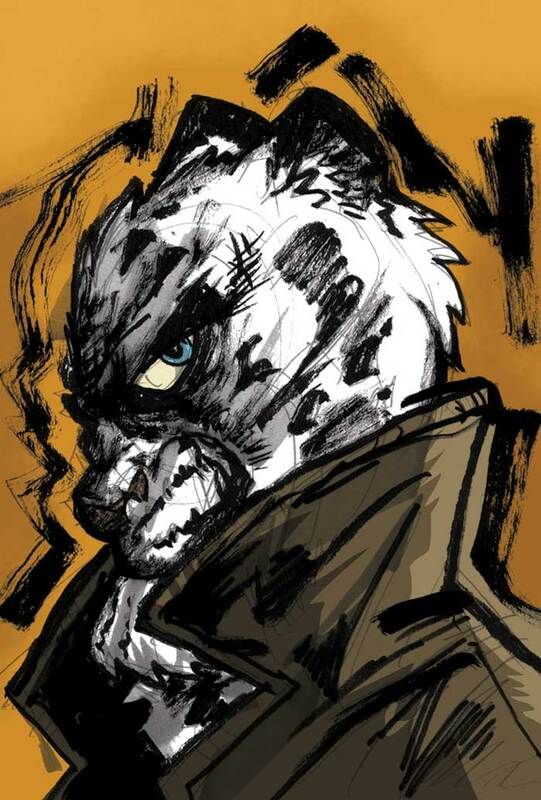 It's Creator Owned Day today, which means comic creators such as myself are talking up their books. I'm currently lettering a creator-owned book called Bedlam (which you should be buying!) but I don't own it... But I do own Archie Snow. Here it is. 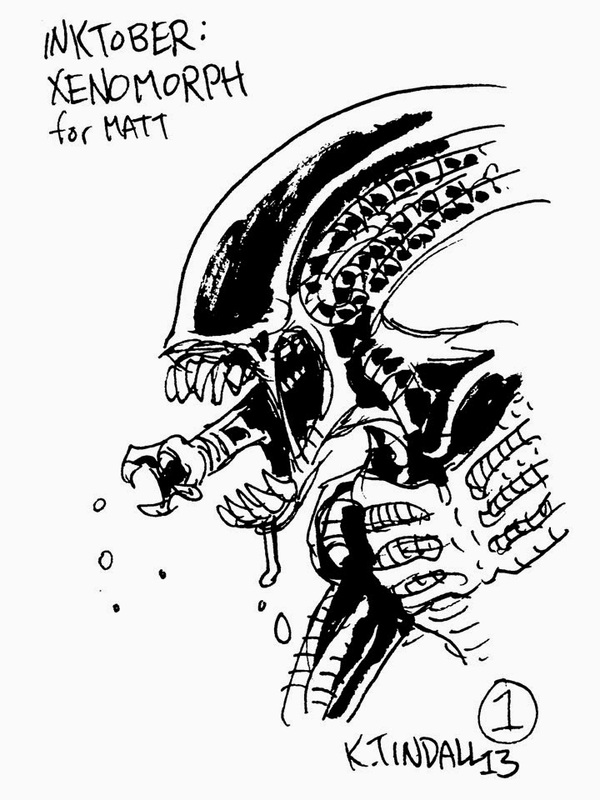 Happy Creator Owned Day! Here's the cover: it was drawn by me and inked by the great Riley Rossmo. It appears for the first time ever. I hope you enjoy it, I hope you dig the story, and I hope you go out and buy some fine creator-owned books (like Bedlam) from your local merchants. Yesterday was my father's birthday. I drew him a pretty decent John Wayne ten years ago so I thought I might update his Wayne collection for him. 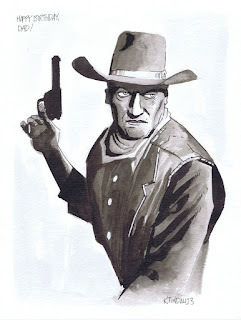 I get my love of both James Bond and Westerns from my dad; although his favorite cowboy is John Wayne and mine is Clint Eastwood. Here's a good 'dad' story. One morning, Dad was all dressed up in his long leather duster and his favorite Stetson as he was going to take his horse Babe out for a ride. My brother, sister and I had walked out to the end of the driveway (a few hundred metres) to meet the schoolbus. The bus arrived just as we heard my mother yell to my sister, "You forgot your lunch!" There was no time to go back for it, so we decided we had to go. When we got on the bus, everyone was looking very intently out the window in the direction of our house: my father, in full regalia, was riding Babe full-tilt down the driveway with my sister's lunch in his free hand. He rode up to the side of the bus, handed my sister the brown paper bag, and said, "Here you are, little lady." I love you, dad. If I'm a good father at all, it's all because of you. 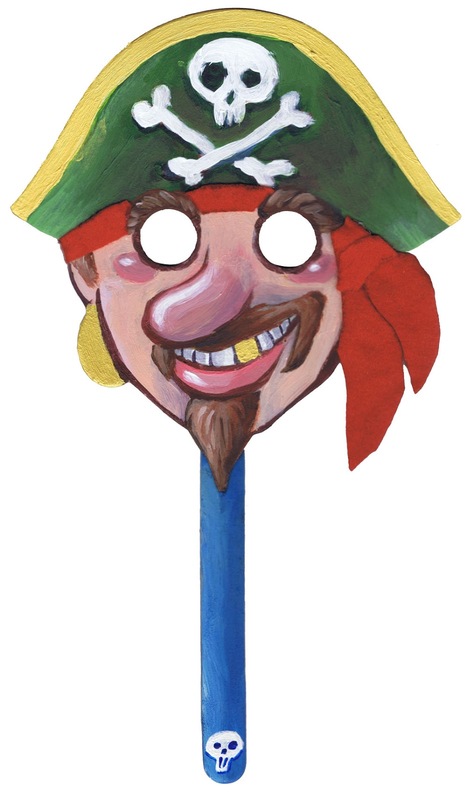 Sometime last year, my wife bought a little wooden pirate's face from Omer de Serres (the Quebec art supply store). The moment I laid eyes on his boring little face, I knew I'd have to take a whack at it. So, he's done! I had my acrylic paint and hot glue out last weekend for another job. 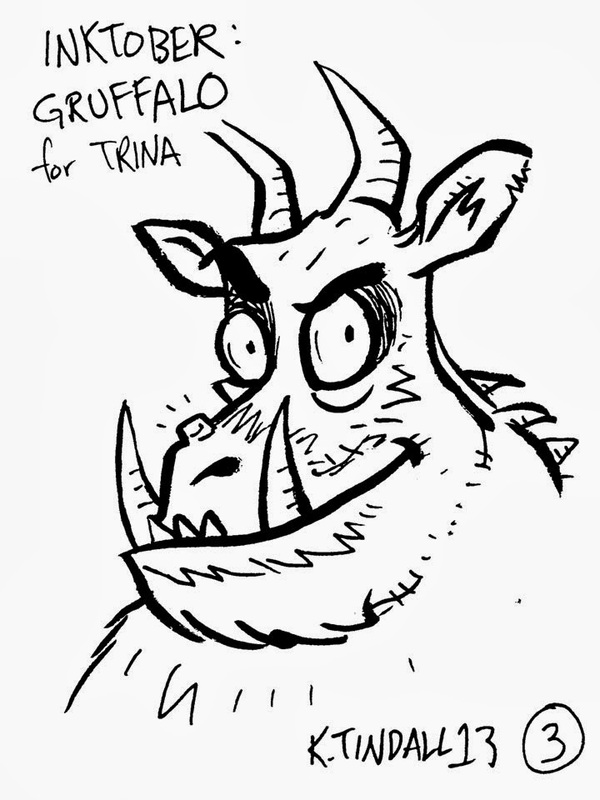 I thought he came out rather well, so here's the scoop: his face is my gift to you. 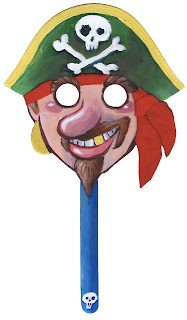 Just print him off and slap him on your own face and you're a popsicle pirate too! "What pirates? Nobody here but us Girl Guides!"